The new Samsung Nexus Prime utilizes Ice Cream Sandwich (the Android 4.0 mobile OS) and features a Texas Instruments OMAP4460 processor which is a dual-core Cortex A9 chip that runs at 1.2 GHz. A full gigabyte of RAM keeps the phone moving, and the built-in 32 gigabytes of internal storage fits within a nine-millimeter-thin frame. The Nexus Prime Super AMOLED HD screen is expected to hit a total of 4.65 inches in width and run at a 720P resolution, or 1280-by-720 pixels. A 1.3-megapixel camera this screen on the smartphone's front, but the 5-megapixel camera capable of recording 1080P video, sits on the smartphone's rear. Only the GSM Nexus Prime can be used reliable overseas. 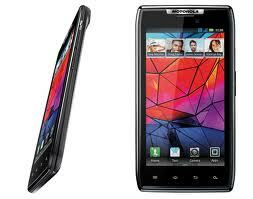 If you purchase a Verizon Nexus Prime you will not have GSM coverage when traveling overseas. Be sure to contact InTouch Smartcards before your next trip to Europe, Asia, Africa or the Middle East to make sure your phone can be used reliably where you will be traveling. Our new Dual IMSI SmartFree Quattro SIM works in the new GSM Nexus Prime and can help you save money when traveling outside of the USA. 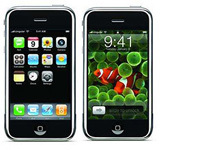 Renting an iPhone, iPad or Android phone today is perfect for developers, corporate evaluations, overseas trips, trade shows, product reviews of GSM vs. CDMA and for special events. Rent the device with active data services, understand i functions, apps, features, how it works in your world and on the wireless carrier in your city (without any term obligation). The GSM Nexus Prime is available for purchase now, but depending on when you order there may be a waiting list so be sure to get your order in. Be sure to inquire about our embassy and diplomatic special pricing and discounts. "